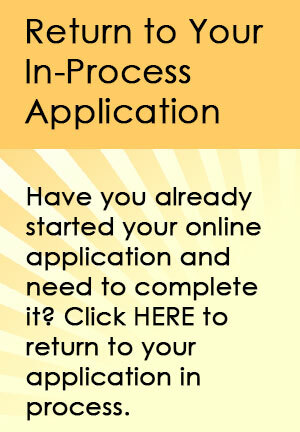 The initial application is filled out online and is saved online for you until it is completed. APPLY NOW. *Students applying for PreK-3 must be 3 years old on or before September 1. *Students applying for kindergarten must be 5 years old on or before September 1. Teacher recommendations will be automatically emailed out when you submit your Application. Make sure you have the teacher’s current email when filling out the Online Application. Recommendations will be returned to RCBA via email directly from each teacher. For students who have completed 6th grade and higher, please choose either your student's English, Math, or Science teacher for the reference. This emailed form must be completed by your pastor, pastoral staff member, youth director, Sunday school teacher, Bible study leader or elder. This reference verifies your connection to a local body of Believers and provides information on your family's commitment to Christian growth. This form will also be automatically emailed to your pastoral reference when you submit your online application, so make sure you have that email address on-hand. Students applying for grades 7-12 only must complete a portion of the online application themselves. They are asked questions about their favorite teachers and subjects, and why they want to become a student at RCBA. These questions are likely revisited if you progress to a family interview with the Principal. Email one small applicant photo for us to keep in your student's permanent record. Please email a copy of your child's birth certificate along with other required documents. A copy of your child’s previous two years report cards must be emailed as part of the student’s spplication. Copies of the past two years of state achievement testing or national achievement testing results will need to be emailed during the application process. All student applications require a non-refundable $125 application fee. You will be prompted to pay the fee online at the time you complete and submit your initial application. The application is not processed until the one-time application fee is paid online. Scholarships are awarded each year on a limited basis. Preference is given to current students and remaining funds are available to new students. Scholarship applications are available upon submission of the initial application fee. Consideration is given to student's character, academic record, the family's faith commitment, and to financial need. After completing the online application and submitting the fee, families may request access to the scholarship application from the Admissions Director. This scholarship application is accessible through an online link that can be provided to you, and can take 2-3 weeks to process once submitted. You will be notified when your scholarship application has been processed and reviewed, and will then be scheduled for an interview with the Principal. Upon acceptance of an offer of admission, please email a copy of the applicant’s current immunization record. The final step necessary to be considered for enrollment is a family interview with the Principal. Both parents are required to be present for the interview, as well as the student applicants. You will be contacted to schedule a convenient meeting date and time. All required paperwork and any requested evaluations must be submitted in their entirety before you will be scheduled for an interview with the Principal.